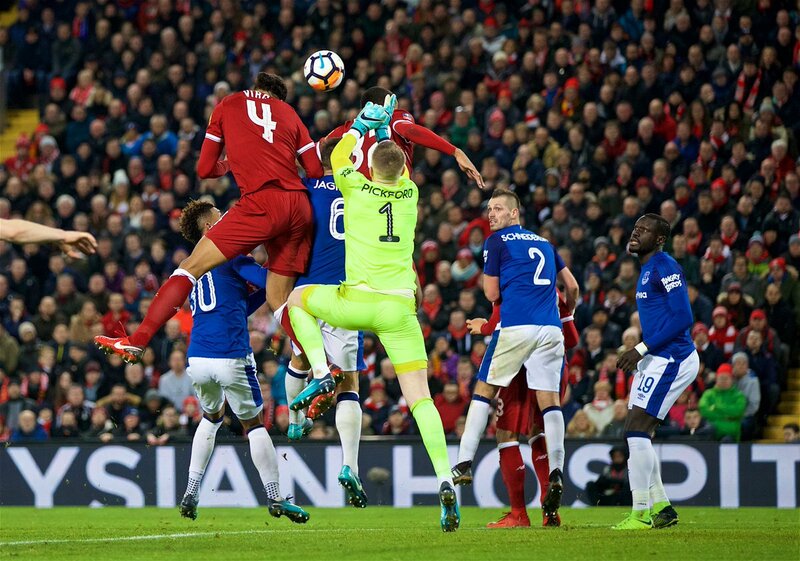 Virgil van Dijk capped a dream debut as he scored a late winner to secure Liverpool a 2-1 victory over Everton at Anfield this evening. The hosts were given the perfect opportunity to open the scoring in the 33rd minute when Holgate was adjudged to have hauled Adam Lallana down in the area. James Milner stepped up to convert the resulting penalty to put Liverpool 1-0 ahead. Everton levelled things up midway through the second half as Gylfi Sigurdsson cooly slotted home in to the bottom corner from the edge of the area in the 66th minute. However, there was late drama as van Dijk stepped up to head home a winner from an Alex Oxlade-Chamberlain corner in the 84th minute to cap a dream debut and book Liverpool’s place in the fourth round.